Besides the traditional corrosion protection by means of the sacrificial anodes, Impressed Currents Cathodic Protection (ICCP) systems are manufactured and installed as a long-term solution to corrosion problems. ICCP systems work by supplying a controlled direct current to the underwater surface by means of mixed metal oxide permanent anodes. This current, constantly monitored by zinc reference electrodes is automatically adjusted by the system itself to prevent the electrochemical action of galvanic corrosion. The ICCP system components specifically developed for the boating industry are lights and compact for easy positioning and installation. 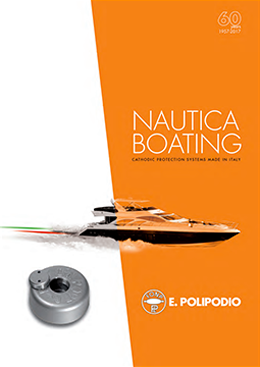 Besides the traditional technique to protect ship’s hulls from corrosion using sacrificial anodes, a permanent and automatic system Fonpmatic has been developed, based on the continuous potential measurements of the areas to be protected. Each equipment is sized and manufactured in order to meet the individual client requirements for any application, any type and size of vessel, for any operation condition. Furthermore the system will come with all the necessary accessories to allow current distribution to all the appendages of the ship (rudders, stabilizer fins, propeller shaft, etc. ..). Semi-submersibles, FPSO and jack-up rigs generally have long periods between drydocking. 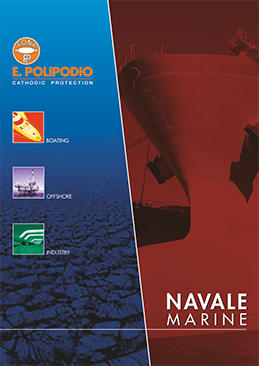 For this reason, E. Polipodio has designed anodes and reference electrodes to last up to 15-20 years, capable to provide the optimum protection against corrosion throughout the life of the structure. The current from the anodes neutralizes corrosion on the surface of the structure and eliminates differences in potential. Pipelines, water systems, industrial “land” facilities such as refineries, chemical plants, water treatment plants, storage tanks are structures that must be protected from the threat of galvanic and electrolytic aggression. Active cathodic protection brings the structure to maintain an electrical potential of immunity through the use of a generator of electric current and appropriate permanent anodes. 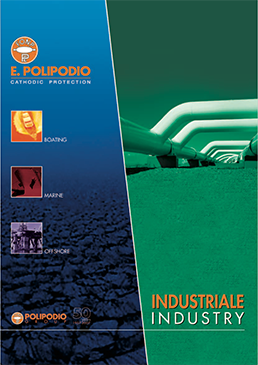 E. Polipodio provides experience and expertise in cathodic protection to design, manufacture and supply the proper equipment, with the most suitable materials required for corrosion prevention of industrial land facilities. Impressed current cathodic protection systems are generally applied when large bare steel structures need to be protected, requiring hundreds of amperes capacities. Impressed current cathodic protection current is provided by either manual or automatically controlled transformer rectifiers powering impressed current permanent anodes specifically designed to operate in the conditions prevalent on site. 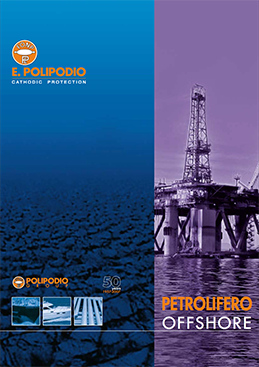 E. Polipodio provides advice and outlines system design for cathodic protection of harbors and jetties in accordance with international standards under the control of our ISO 9001:2008 certified quality management system.